This ultra-soft night version of the chemical peel is a modern balm with a creamy texture that offers complete exfoliation to the skin. Its formula is enriched with benchmark acids and has a progressive diffusion to act continuously all through the night. Each morning the complexion appears more luminous and even. After one month the skin looks renewed. Results: The exfoliation process is triggered. Glycolic acid encapsulated in cyclodextrins, cylindrical cage molecules composed of sugars. 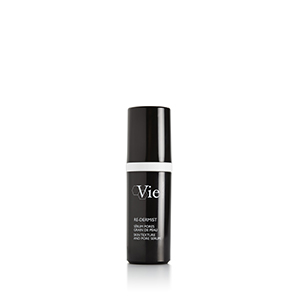 Encapsulation stimulates the effectiveness of glycolic acid, which is progressively released, allowing a continuous action all night long. 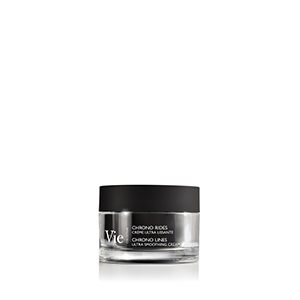 Results: Resurfaces the skin from the inside throughout the night. *Average clinical scoring carried out after 1 application per day for 28 days. **Satisfaction test on 24 volunteers after using the product once a day in the evening for 28 days. AQUA (WATER) / EAU, GLYCOLIC ACID, OCTYLDODECANOL, DIPROPYLENE GLYCOL, GLYCERIN, C12-15 ALKYL BENZOATE, DIMETHICONE, SODIUM HYDROXIDE, CETEARYL ALCOHOL, CETYL ALCOHOL, GLYCERYL STEARATE, GLYCOL PALMITATE, BUTYROSPERMUM PARKII (SHEA) BUTTER, PROPYLENE GLYCOL DICAPRYLATE, TRIDECYL TRIMELLITATE, MICROCRYSTALLINE CELLULOSE, PHENOXYETHANOL, PEG-75 STEARATE, CHONDRUS CRISPUS EXTRACT, PENTAERYTHRITYL DISTEARATE, XANTHAN GUM, CYCLODEXTRIN, PARFUM (FRAGRANCE), CHLORPHENESIN, CETETH-20, POLYACRYLATE-13, STEARETH-20, CAPRYLYL GLYCOL, UREA, GLUCOSAMINE HCL, CELLULOSE GUM, POLYISOBUTENE, LAMINARIA DIGITATA EXTRACT , SACCHAROMYCES CEREVISIAE EXTRACT, CAPRYLIC/CAPRIC TRIGLYCERIDE, SODIUM PHYTATE, POLYSORBATE 20, SORBITAN ISOSTEARATE, ALCOHOL, CITRIC ACID, PROPYL GALLATE, TOCOPHEROL.